My romantic fiction writing is an integral part of my larger mission to contribute directly and indirectly to individual and cultural enrichment through the power of art by dramatizing high ideals that can be actualized in real life. Whether celebrating love and joy or empathizing with loss and pain, my themes intend to be both romantically suspenseful and contemplatively motivational. I want to inspire readers to find personal pleasure and meaning in my work by introducing them to fascinating but believable characters, by visiting exotic locales, and by offering moral and value selections that may enhance their own lives. At the same time, I am determined to challenge the cynical concepts of the sensationalist, nihilistic, popular anti-culture in which we now live and encourage a path of self-created distinctiveness, integrity, and pursuit of the best. Feisty singer-songwriter Elena Gadonni’s life changes forever on the day she learns that her father Rinaldo is actually “Zio” Gadonni, the Mafia’s ”Boss of all Bosses.” Horrified, Elena repudiates her father and changes her name. But nobody walks out on The Family. Zio schemes secretly to ensnare his daughter into marriage to show-biz agent Lorgan Cantrell. 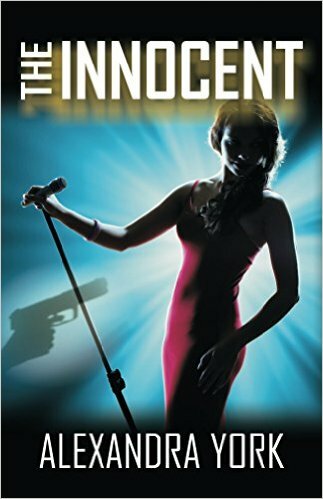 Trapped by his own birth, Lorgan agrees to manage her professionally but privately vows never to romance and certainly never marry this true heroine of the spirit, an act that would betray her independence and force her back into the world of La Cosa Nostra. Elena doesn’t know that her sudden career success is being orchestrated by the reluctant heir to the California “Cantrelli” Family. But things take a deadly turn when she decides to testify against her estranged father—and Zio, enraged, puts out a “hit” on his own daughter. Can Elena survive the wrath of her father. . .let alone ever free herself from the iron grip of The Family? 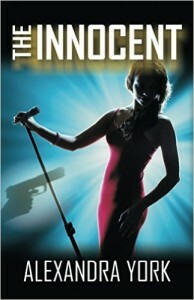 THE INNOCENT is a tangled tale of modern-day Mob life—a gripping story of romantic suspense that succeeds without ever romanticizing the brutal underworld of organized crime. Get yourself a copy. We need to support work that elevates the true, the good and the beautiful in American culture.